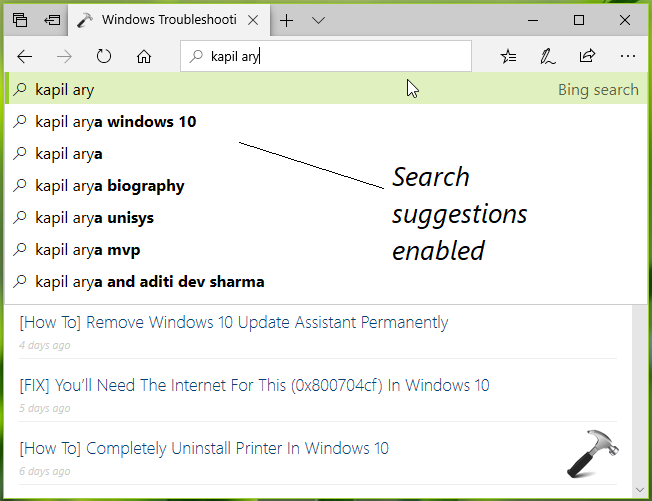 In Microsoft Edge, site and search suggestions are enabled by default. This means as you type in the address bar, the corresponding site and search will be automatically displayed. It will make your working experience better with Microsoft Edge. See the below mentioned screenshot, which describes suggestions appears as you type in address bar. 2. Then switch to Privacy & security section. 3. Under Privacy, turn On or Off the option Show search and site suggestions as I type to enable or disable the site and search suggestions in Microsoft Edge, respectively. The settings you select here will be saved and applied immediately. If it doesn’t, you can restart Edge to make changes effective. You can also disable site and search suggestions via registry manipulation, as mentioned in Method 2 below. 4. Set the Value data to 0 to disable site and search suggestions, or set it to 1, to enable site and search suggestions. Click OK after inputting your choice. Close Registry Editor and reboot to make changes effective. Group Policy Setting: If you want to enable/disable site and search suggestions for Microsoft Edge browser on multiple machines in your organization/workplace, you can deploy the relevant GPO setting. 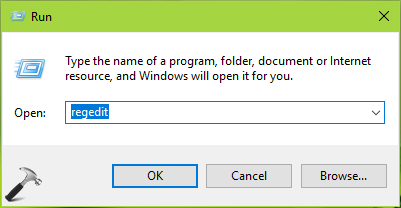 Set Configure search suggestions in Address bar policy setting at Computer Configuration > Administrative Templates > Windows Components > Microsoft Edge to Enabled/Disabled.